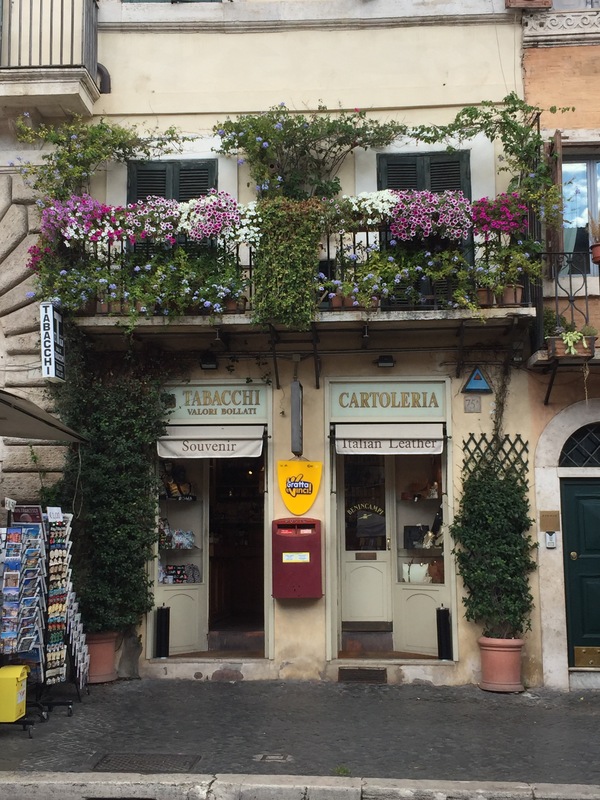 I spotted this beautiful shop when we were on holiday in Rome this summer. Just look at that floral balcony! That’s a very pretty shop. So pretty! Great entry for the challenge.